2 x 550 sheet Trays, 100 sheet bypass, Duplex, 512 MB RAM, PostScript3, Network, USB Connection, USB/SD Media Slot. No starter toner included. Toner must be ordered separately. 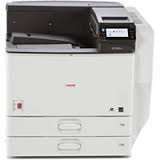 The innovative RICOH Aficio SP 8300DN grabs more than attention —it secures greater productivity, too. This versatile, network-ready laser printer combines speed and high quality black-and-white output with a host of advanced capabilities like built-in data encryption and authentication features with the optional hard disk drive to manage today’s demanding workloads with ease. 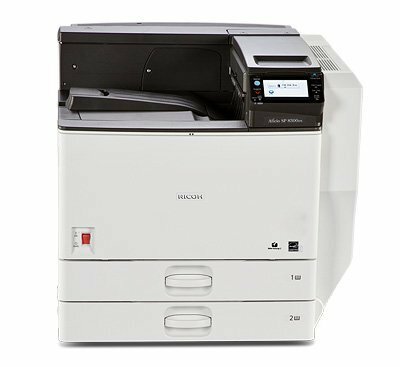 The Ricoh SP8300DN Printer was added to the Printers category in June 2016. The lowest price GetPrice has found for the Ricoh SP8300DN Printer in Australia is $4,158.00 from Printer Supermarket. Other merchants who stock it are Printer Supermarket, Printer Barn, Cartridge Store.